Hello & welcome to HORSE BOOKS PLUS! 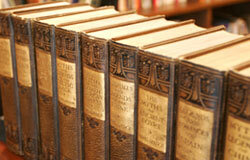 Offering rare & used books for all interests. 90% of our stock is out of print or hard to find. or the link in the heading to view all. Double click images TWICE to zoom, backspace to return. Additional images or questions are no problem, let us know what you'd like to see. We carry SO much more than horse books. Visit our customer feedback page and learn how well we love what we do. Please like & follow us on FACEBOOK for private 'friends only' sales!